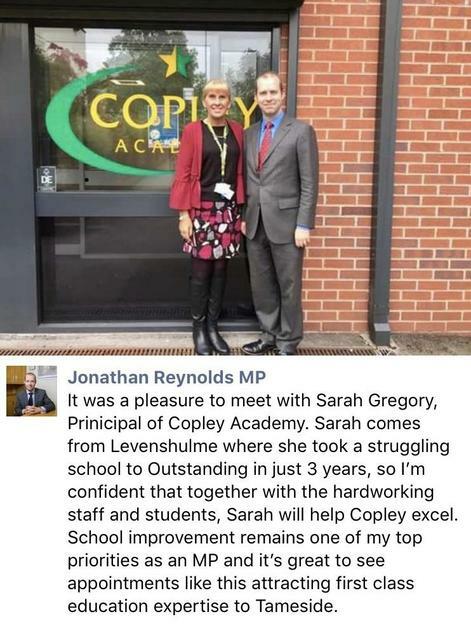 It was good to be able to welcome Jonathan Reynolds into Copley Academy and to give our students leaders a chance to tell him all about their work within school. Mr Reynolds also enjoyed a tour of our school and heard all about our recent open evening. He has promised not to be a stranger in the future!